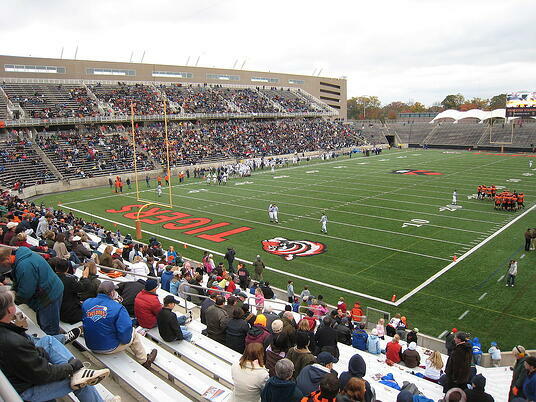 As far as signs of network failures go, Princeton University was getting a very visual — and glaring — one: for weeks, the school's football stadium lights would suddenly turn on in the middle of the night. Each time, these blazing light would wake up residents on campus. Controls engineer Gary Brancato would get a phone call at 1 a.m., and have to drive down to reset panels and turn off the lights. This kept happening sporadically, and Gary could not figure out the root of the recurring issue.